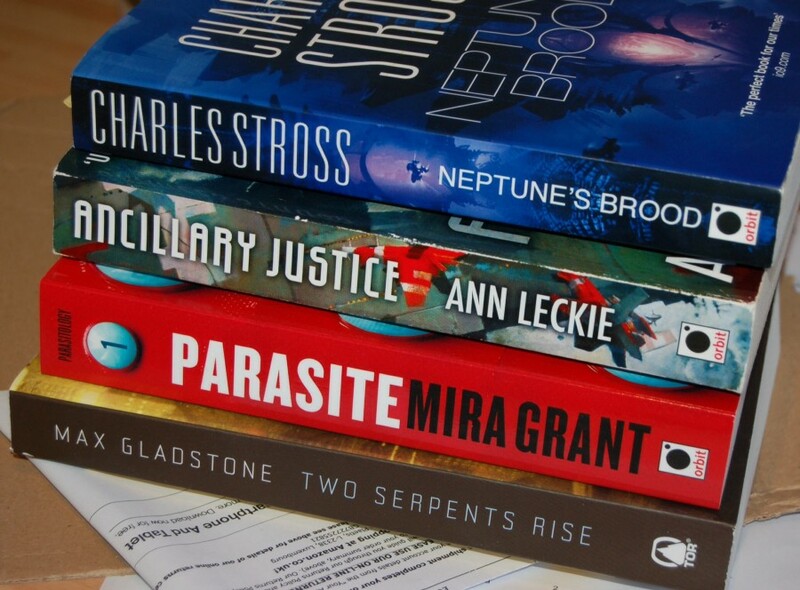 Janet’s new deliveries and her reading pile. We’ve both read the Leckie, Janet’s currently on the Stross (“bonkers, and I now know an awful lot more about banking than I used to”), Grant to follow, and the Max Gladstone because, well just because really. Janet loved Three Parts Dead.